2019 Chinese New Year in Washington, D.C.
Washington, D.C. celebrates the Chinese New Year with a Chinese New Year Parade, Chinese Dragon Dances, live musical performances, and more. The Chinese New Year is a 15-day event that starts with the New Moon on the first day of the new year and ends on the full moon 15 days later. The first day of the year can fall anywhere between late January and the middle of February. The celebration includes dedicating each year to a specific animal. The Dragon, Horse, Monkey, Rat, Boar, Rabbit, Dog, Rooster, Ox, Tiger, Snake, and Goat are the twelve animals that are part of this tradition. In 2019, on the Western calendar, the start of the New Year falls on February 5th and is The Year of the Pig. During this important celebration in the Asian culture, it is traditional to wear red, meant to ward off evil spirits. Following is a guide to the 2019 Chinese New Year events in Washington, D.C., Maryland and Northern Virginia. Chinese New Year Parade and Festival in Washington, D.C.
February 10, 2019, 2-5 p.m. Chinatown - on H Street, NW, between 6th and 7th Streets. Each year a parade is held in Chinatown to celebrate the Chinese New Year. The event features the traditional Chinese Dragon Dance, Kung Fu demonstrations and live musical entertainment. The firecracker will be lit at 3:45 p.m. A good place to view the parade is along 7th St. The closest Metro station is Gallery Place/Chinatown. See photos of the Chinese New Year Parade. 250 Richard Montgomery Dr., Rockville, Maryland. The event will feature samples of Asian cuisine and a variety of multigenerational performances and exhibitors including several dance groups. Past performer have included Central Evergreen Dance Group, Chinese Culture and Community Service Center Dragon Dance Team, Diana Dance Arts, Graceful Postures and Dance, House of Angklung, Lihui's Youth Choir and Potomac Youth Choir, Indonesian Kids Performing Arts, Migrant Heritage Commission Fil-Am Dance Ensemble, US Chinese Wushu Institution, Washington Asian Philharmonic Orchestra, and West Asian Belly Dance Club. 2019 Dates to Be Announced. Clarksburg Premium Outlets, 22705 Clarksburg Road, Clarksburg, MD. The Chinese New Year event features live entertainment, including colorful Dragon Dances and music, activations and more. February 2, 2019, 10 a.m.-6 p.m. Luther Jackson Middle School, 3020 Gallows Road, Falls Church, VA. The event, hosted by the Asian Community Service Center, offers performances from China, Korea, India, Thailand, Vietnam, among others including the beautiful Chinese sword dance; Dragon Parade, fashion show, Asian plant art, Asian foods, Chinese cooking demo, teaching of Chinese characters, crafts, kids activities and more. FREE Admission. 2019 Dates to Be Announced. Fair Oaks Mall, 11750 Fair Oaks, Fairfax, VA. Ceremonies, performances and exhibitions will be presented from each day, with most of the events centered in the Fair Oaks Mall Grand Court. 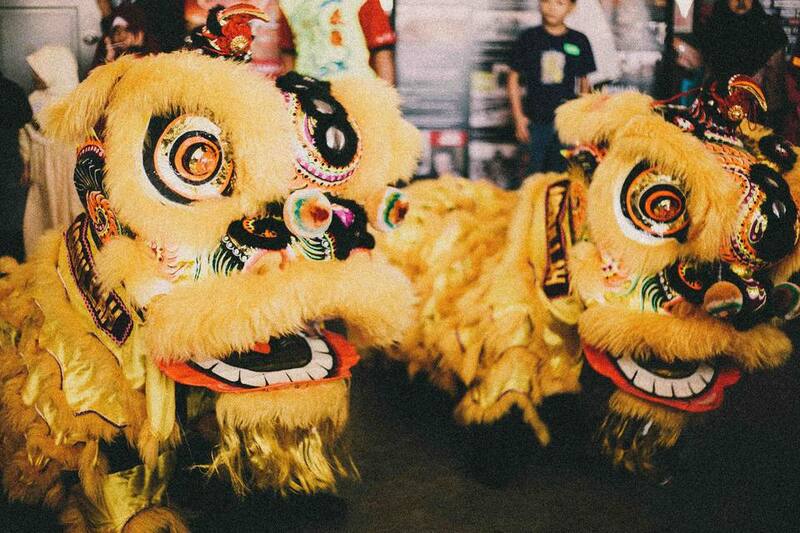 Presented by the Washington Hai Hua Community Center, the event will feature traditional Chinese dragon dances; music and dance performances; martial arts demonstrations; children’s crafts; and a special lantern festival. More than 200 performers will participate in this year’s Lunar New Year festival, representing such countries and regions as China, Korea, India, Thailand, Vietnam, Mongolia, Malaysia, Indonesia, Philippines, Polynesia and the 50th state of Hawaii. 2019 Dates to Be Announced. Leesburg Corner Premium Outlets, 241 Fort Evans Road NE, Leesburg, VA. Enjoy an afternoon of cultural delight complete with calligraphy writing, origami folding and a variety of local performances including colorful Dragon Dances and a Han Conture Fashion Show.